A sparkling little piece, Gurlitt’s gem is the third in a sequence that I pulled from Faber’s Developing Artist series, Preparatory Piano Literature. The others have included Reinagle’s G Major “Minuet,” and Turk’s “Little March” that primed Rina’s appetite for the classics. Hunting Call’s melody is very catchy, while the bass part is a sequence of two harmonic intervals, a third and fifth. To fit Rina’s small hands, I’ve re-fingered the left hand. With new pieces, we sing letter names, use hand signals to trace melodic steps and skips, intone rhythms as “long” and “short sounds,” etc., and alternate bass and treble parts. It’s a process that takes time and patience. As reference, the music page is on the rack, and slowly but surely Rina is transferring her knowledge of “floating notes” in space, marked off by “measures” to their finding a home on lines and in spaces. 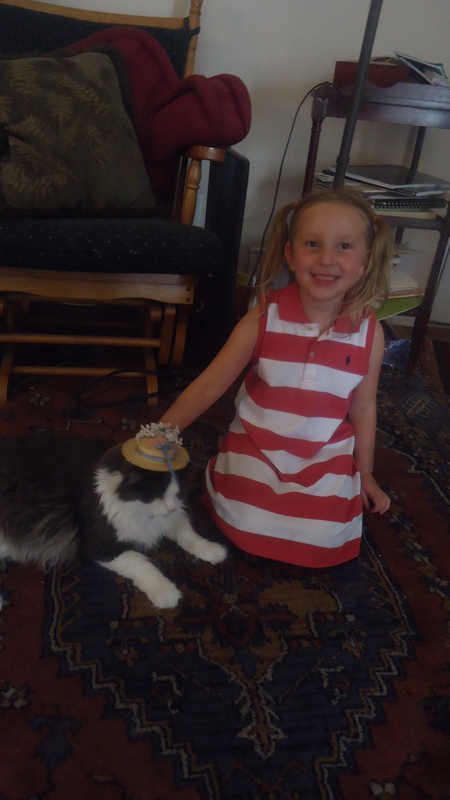 Now one year into piano lessons, Rina continues to make nice progress, and her companion, Aiden cat is following along. P.S. The question about solfeggio pops up here. My intention is to follow letter name assimilation with solfeggiated syllables. 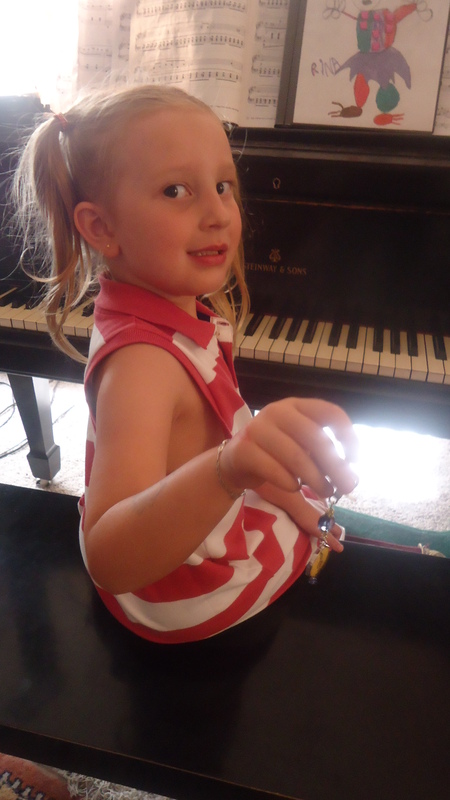 Many music schools in the area start with solfeggio, and delay letter name identification for too long. I’ve found that these students are resistant to naming notes, and have note-reading difficulties well into their studies. The same applies to the purist Suzuki method of teaching piano.